First off, I am going to start off by apologizing because I know this was limited edition and sold out in 2.35864 seconds online. The palette is a dream, as you would expect. Although I will say that if you did miss out on this and have the first two, you’ll be able to live. Yes, the colours are different but I don’t see myself grabbing it as much as I thought I would. 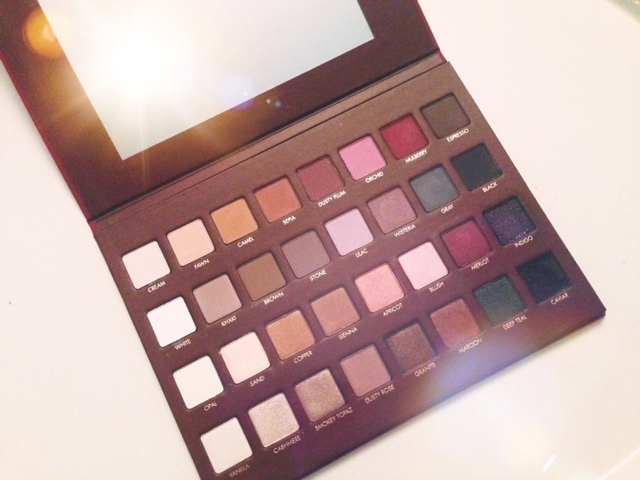 The original Lorac Pro is my favourite palette of all time so that will be hard to top in my books. I haven’t touched all of the colours in the palette yet, just a select few. Merlot is a beautiful maroon colour, as if Lorac Pro Garnet and Mac Cranberry had a love child. I’ve tried Deep Teal over a black base, which turned out well but colour pay off would probably have been better on a white base. Camel is a really good blending colour, similar to Toast by Bobbi Brown. Cashmere is a beautiful neutral for the lid, as well as Smokey Topaz. Of course, all of these colours are pigmented and similar in formulation to the past Lorac Palettes. Overall, this is a great palette if you did get your hands on it. If you didn’t, don’t cry too much and just buy the first two Lorac palettes to fill that empty void in your heart. The formulation in Lorac’s shadows really can’t be beat.